This marks the first time mother and daughter have been apart for more than a few days since Savannah’s adoption seven years ago, at age 11. National Adoption Month, traditionally observed in November, this year focuses on the need for permanency for older youth in foster care. In 2014, more than 22,000 youth nationally exited foster care without a loving, permanent family. All youth need the sense of belonging that a family provides. Tracey divorced at 40, but she couldn’t shake her dream of having a family. She relentlessly searched for her future daughter by scouring the photo listings on the Pennsylvania Adoption Exchange. However, adopting an older child also is not for the faint of heart. Besides the hormonal changes they may be experiencing, there’s the confusion and, often, the anger associated with separation from birth family and growing up in foster care. “Michelle’s Story” is one example of the emotional scars borne by foster youth. In Pennsylvania, through the Statewide Adoption and Permanency Network (SWAN), Child Profile is a service often completed for children who are in the care of a children and youth agency. The Child Profile, based on agency records, provides a summary of a child’s social, emotional and medical history, conveying the essence of the child. For older youth who often don’t know an accurate account of their own history, the Child Profile is particularly beneficial. Tracy adopted Savannah at the beginning of her adolescence. Tracey pieced together her daughter’s story through details outlined in the Child Profile. 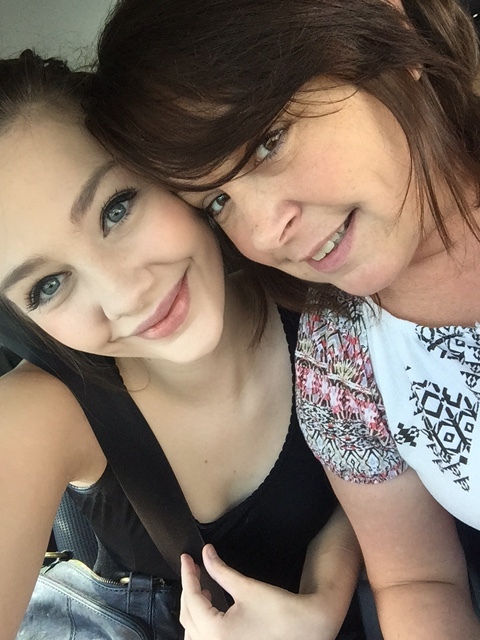 Like any mom, Tracey balances worry with pride when it comes to her daughter. Tracey gained a daughter with Savannah’s adoption, which also led to a career change. Now, as a paralegal with Family Design Resources' Legal Services Initiative, Tracy understands firsthand the importance of permanency for older children in foster care. And she understands the risks -- including higher rates of homelessness, substance abuse, and mental health issues – for those youth who don’t find a family. These needs have compelled Tracey to begin the process anew. She hopes to give Savannah a sibling through adoption. “My daughter knows I love her unconditionally, and this allows her to feel safe enough to want that experience for another child,” Tracey said.